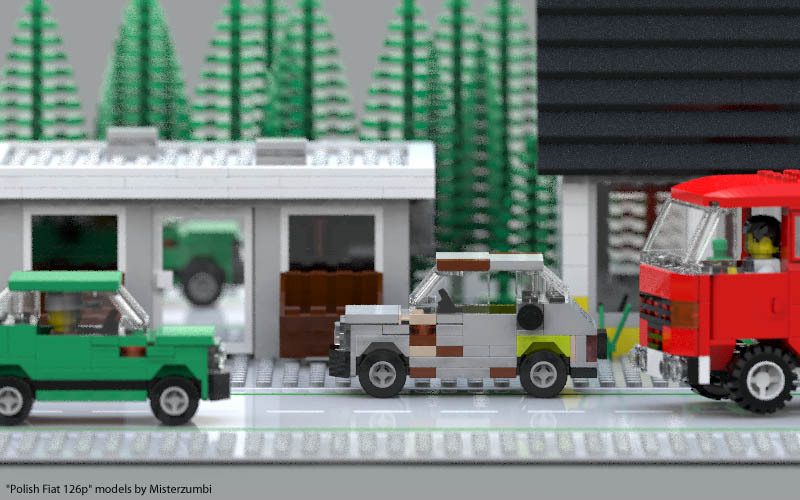 Brickshelf user Shaggie has done an amazingly high quality render of a town scene involving misterzumbi’s Fiat126p design. This is certainly one of the most realistic LEGO renders I’ve seen. This is certainly one of the most realistic LEGO renders I’ve seen. Definitely. When I first read that, I was like, ‘render? what’s he talking about?’ This is very nicely done. Until I noticed that the truck was hovering slightly I still wasn’t 100% sure it was a render, and I’m pretty well trained at picking them.